Recently, I put out a model call for a bohemian mommy-and-me inspired photography session. 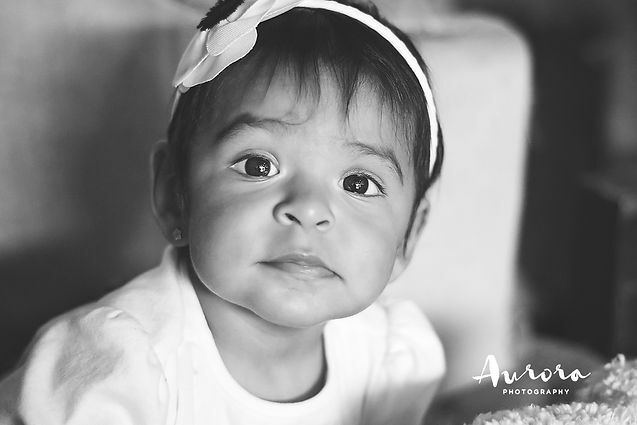 Who doesn’t love beautiful babies and gorgeous floral designs in the warm, South Florida sun?! While my boho session is still in the works (and it is going to be magical) I didn’t expect for my model call to lead me in the exact opposite direction- a colorful afternoon in the Wynwood Arts District of Miami. 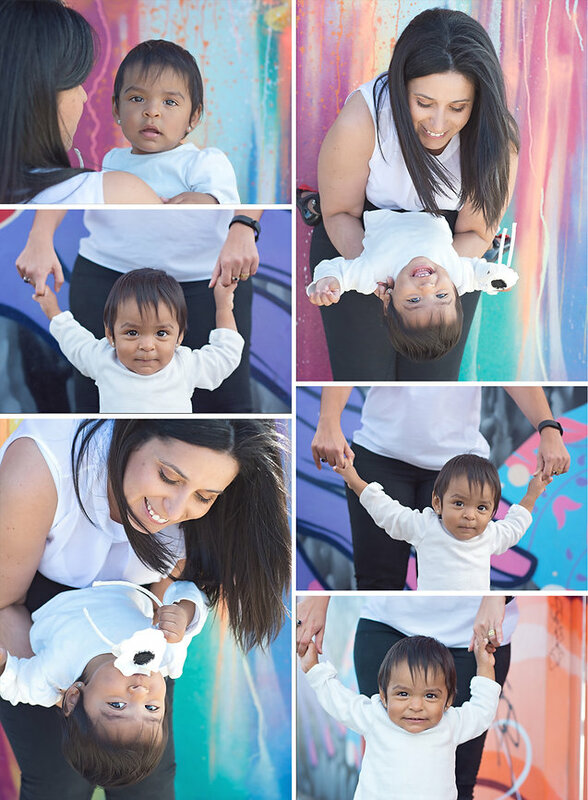 This mommy – daughter duo contacted me about the family photography session but we quickly decided a rural, bohemian setting just didn’t fit their style so we opted for the ever-wonderful Wynwood. If you’re one of the few people left in Miami or South Florida that hasn’t visited Wynwood, please do yourself a favor and wander around. Exploring the ever-changing murals and street art is a wonderful outing for your family. Play-in, JugoFresh, and Wynwood Walls are fun, family-friendly options and some of my personal favorites. Miss Fiona was all smiles for my camera and working with her was such a pleasure. The vibrant colors and fun atmosphere perfectly fit this mom-daughter duo. 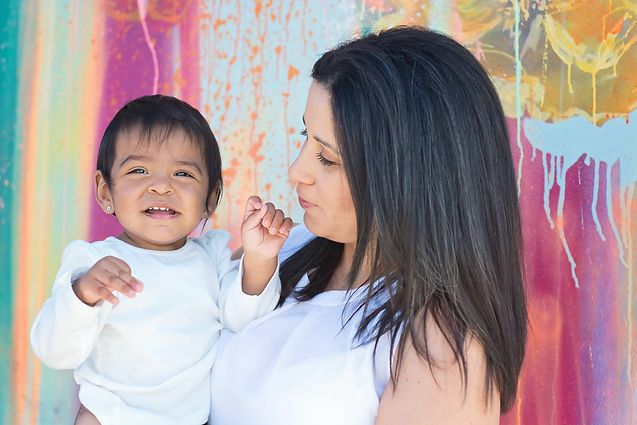 Their mommy-and-me portraits showcased their smiles and affection. Aren’t those eyes to die for! Book your spring session now to capture your special moments and visit my website for more information on a boutique photography experience. Let’s create something beautiful!